Vocalist Brett Lee started his musical journey very early in life. 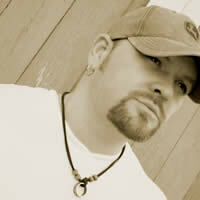 After years of musical growth, he began to perform locally and start writing original tunes. Brett Lee has fronted original bands, cover projects, performed solo acoustic, and played rhythm guitar and sang backing vocals for national acts. Dylan McCarty has played in a number of bands and has had the opportunity to tour and open up for national acts such as The Allman Brothers and Robin Trower. He was formerly a member of the Detroit-based band "Goober and the Peas" which enjoyed some commercial success on MTV and national radio. With Two Tone Tobacco, Dylan lays the foundation with high-energy hard-hitting grooves, and melodic harmonies. 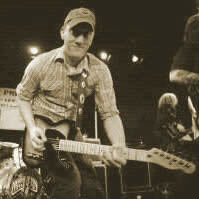 Dave Dion grew up in Flint, MI and that is where he began his musical career. As a child, he was surrounded by musical influence from his parents and started out at a young age with piano, then moved on to drums. Upon entering high school, he picked up the bass and never looked back. 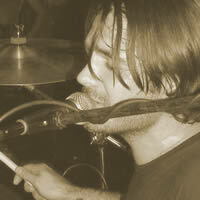 Dave has been playing professionally since graduating high school and has played in several cover and original bands, touring the entire United States and parts of Canada. Most notably, Dave toured in 2009 on the Crue Fest 2 tour with the band "Shram." Dave says " For me, Two Tone Tobacco's music is a bit of a departure from my roots in rock but I really do enjoy performing and listening to our original music." 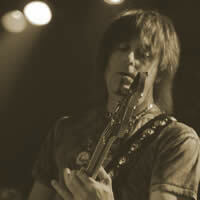 Jeremy "Leroy" Biltz began playing guitar at the age of 8. After playing in several area cover bands, Leroy joined My Machine in 2002 and enjoyed some local success and radio play. Early in 2005 he joined Whitey Morgan and the 78's and began to tour the nation. Several WM songs have been featured on MTV's Nitro Circus, The TO Show, and various soundtracks. Leroy was also presented in 2008 with 3 Detroit Music Awards as a member of Whitey Morgan. When the opportunity presented itself in mid 2010, Leroy became a full on member of the Two Tone Tobacco family and is excited to be on board.